Exclusive! Love in bloom! 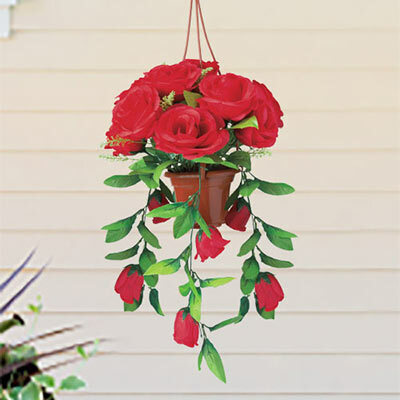 You'll adore these beautiful cascading red roses all year long. Perfect for window boxes, container gardens and hanging baskets, this tumble of faux blooms needs no care to remain gorgeous. Bright green leaves provide a pretty backdrop. Includes faux terra cotta pot and hanger. 24"h, 12" dia.